We’re live! Chuck having technical difficulties. Discussion n progress with the Mental Toughness project. There is testing, testing, and more testing. 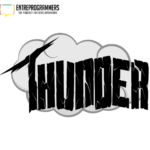 EntreProgrammers talk about the marketing strategies for this new project, price testing and checking the number of sales. Josh explains marketing tactics. John explains the promotion of the Bulldog mindset course along with the Mental Toughness project. Josh talk about the sells that took place during the promotion. John explains more on the marketing analytics, conversion, and the emails sent to the list. John and Mani joke about the 9 dollar product price. Mani talks about creating a subset of the product. Josh talks about the product he can possibly sell, but the cheaper 5-9 dollar products will sell as a promotional tactic. Mani, John, and Josh talk about Interview Cake. John mentions reading the Predictably Irrational book because of the interesting price setting topics. Josh mentioned that he is tapped out on writing promotions. Josh talks about strategies he has put out from John’s book. Josh talks about a possible new course about how to get a job, and statics on interested and disinterested customers on promotions. Otherwise selling to a very small group which might not be worth the time. John asks about growing product sales after a long flatline. Josh mention working with Podia, but needed to get some direction. Josh jokes about John being very knowledgeable about the numbers for someone who is not involved in the business anymore. Josh talks about having issues with permalinks. 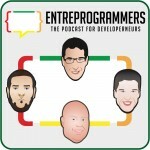 Chuck talks about turning off caching on his podcast website because of a similar issue. Chuck talks about his recent trips to conferences and encountering bad rooms and bad internet. Chuck talks about have done 20-30 recording at NG Atlanta for podcast purposes and youtube. Chuck shows the progress in his new PodWrench application and his plans on how this will eventually work with productions and placing sponsors. Chuck explain how inviting and placing new sponsor will work. Mani asks about listenership, and download numbers. Mani asks a question about CPM and pricing and how the sponsor slots work. More talk on CPM. Josh jokes about Baba, and how this new system is great for his business. 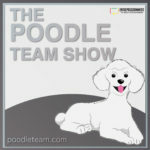 Chuck talks about the evolving process with PodWrench and upcoming plans for the system. John and Josh say that PodWrench can be a great SAAS business soon. Chuck talks about the different stages to move the application along. Chuck says PodWrench is not ready for the public, but it is getting there. Chuck talks about the different areas this sponsorship process can possibly fill for other podcasters. Chuck says this could turn him into a marketing agency for the podcast as this project grows. Josh says this would be a great platform for marketing. John – Just hang in there!